I met Janice Guy for an interview in her gallery of which she is a director and founder, Murray Guy. In the back room of her gallery, a hand-tinted self-portrait of Janice rests in a matt slightly too large for the print, which has been cut and recut to fit the photograph for an upcoming exhibition. In the midst of preparing work for a show after more than thirty years of hiatus, I sat down to talk to Janice about her exhibited photographs, resurfaced from negatives forgotten and in storage since the early 1980s. This interview takes place shortly after Janice’s second solo exhibition of her own photographs in New York, Janice with Camera, at Cleopatra’s. Janice: 2008. That was the White Room show, the little solo show. E: But both the photographs from White Room and the photographs from Cleopatra’s came from the same time period and series? J: It is only one time period. They’re all between ’76 and 1980 really. Let’s say ’75 to 1980. J: And then I stopped making art. All my photographs were done in Germany. I had gone to Germany with a grant for one year, to go to the Kunstakademie Dusseldorf and I stayed there for five years. E: Bernd and Hilla Becher were closely associated with the Akademie, right, and with that kind of objective viewpoint, was your work appreciated at school – your self-portraits? 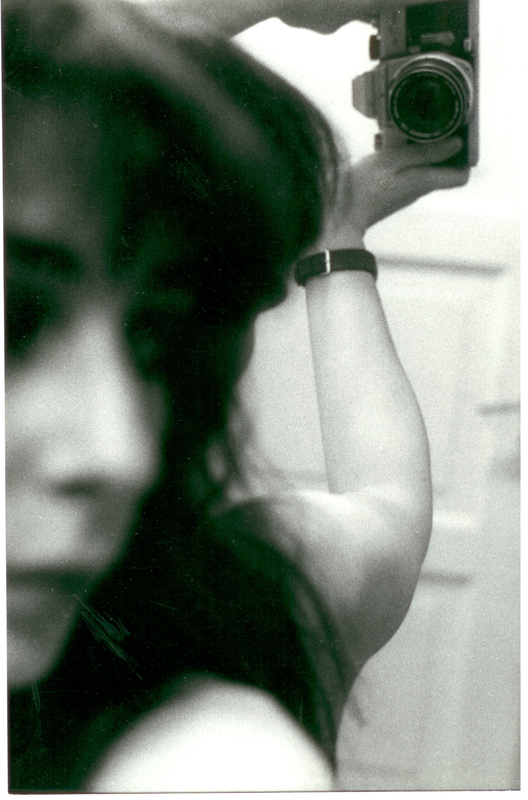 Mirror, 1978, vintage silver-gelatin print. Image courtesy of Janice Guy. J: But that was not the case. They never expected any of their students to be emulating them, even though at the very beginning it certainly looked like that. When I was studying in the Akademie everybody was working in black and white, quite small. I was the one making the larger pictures. Actually, one of my biggest influences at the time was not a professor at the Akademie, or artists, but Konrad Fischer, who had a gallery …. and who had started off as an artist himself. Through Konrad Fischer, I was seeing the work of, and meeting artists like Lawrence Weiner, Bruce Nauman and Gilbert and George. J: It wasn’t until much later that I started thinking doing a gallery could be really exciting. E: When you were approached to show your photographs from the late 70s, why were you interested in showing them again? J: I hadn’t thought about my photographs for a long time. Matthew Higgs asked me about them – I think it was 2007 – he was working with Marilyn Minter and Fabienne Stephan on a show at White Columns of work by gallerists who started off as artists. Matthew knew that I had studied in Dusseldorf, but he had no idea what I did, we hadn’t really talk about it. E: You hadn’t shown the work to anyone? J: Matthew was the first person here in New York I showed it to. I wouldn’t have been offended if he had told me never to show it to anyone again! But he immediately put me in the show – “Early Years” – and offered me a solo show. E: Do you feel like you’re looking at a different person when you’re looking at those photographs? J: I have a distance from the work as art, because I’m no longer working as an artist. And a certain distance from that body. It was a long time ago. I started using my own body initially because I was the handiest model. E: Sometimes when you use other people, it becomes distracting from what you might want, because then you start becoming a director. It’s also a question of using yourself because you want to use yourself. 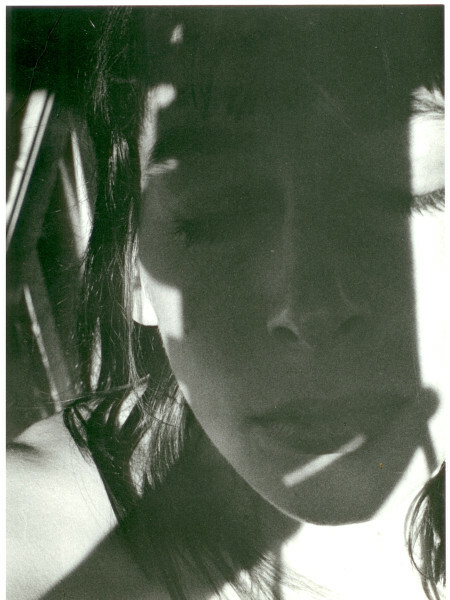 J: At the time I was making my photographs, in Germany, Selbstdarstellung (self-representation) was a feminist statement. This is me, this is my body, I represent it. I found it interesting that the brilliant young women running Cleopatra’s were all born after my photographs were made. They are a generation younger than me. They don’t have these issues. They don’t have to specify “we’re women doing this project”. I don’t think that those photographs are narcissistic. E: And it’s also more of a working body. J: Definitely. I am both the subject and the object of the photographs. And I appear to be photographing the viewer. E: It’s also an estranged self-viewing. J: The camera always functions as a mask. Shadow, 1978, silver-gelatin print. Image courtesy of Janice Guy. J: I’m looking into the sun and the shadow of the hand-held camera with my finger on the shutter release, falls over my face … like a mask. You do see my face the most where I’m photographing with my back to the mirror. I’m in front of the mirror. But I don’t see what I’m photographing. E: It’s more of a peripheral point of view. And can you remember what you were thinking as you were taking them? J: It was a long time ago and I can’t remember much about my intentions. People have asked me about certain decisions. For example, that in many of the photographs I am wearing only a wristwatch. E: The wristwatch seemed a part of the portrait. That it must have been something that you wore all of the time. J: I did wear it all the time. I didn’t even have to take off in the shower. It was definitely something that seemed to be part of me. E: And was there a reason that you liked to tint the silver gelatin print rather than to make a color photograph? 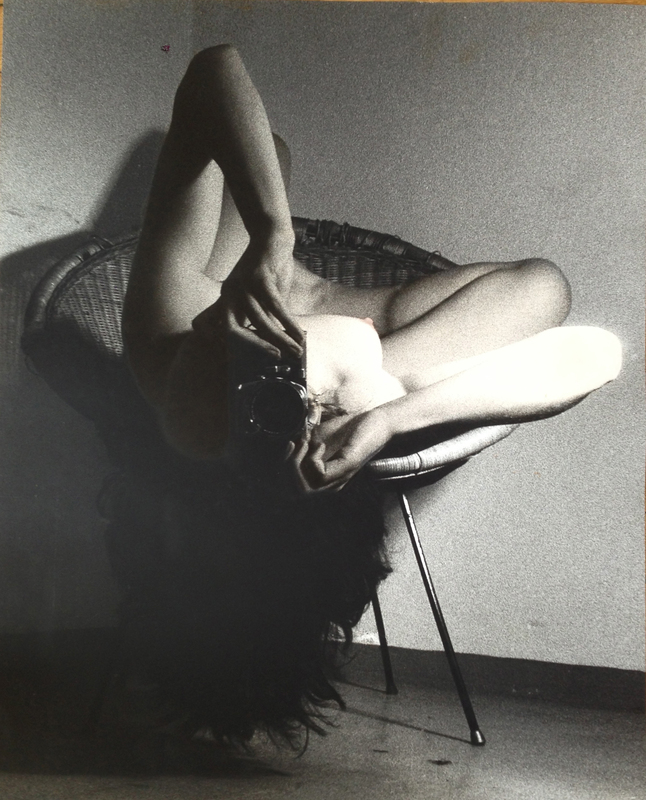 Untitled, 1979, vintage silver-gelatin print (unique), hand-tinted. Image courtesy of Janice Guy. J: I secretly envied painters. I thought it must be very beautiful to apply color to a surface. And I liked the out-dated look. E: How was it to stand in your exhibition as an artist and not a gallerist? Or did you feel still like a gallerist standing in your own exhibition? J: I certainly didn’t feel like a gallerist standing in my own exhibition, and I’m not sure how much I felt like an artist. The question that everybody asked me was ‘Are you going to start photographing again? Are you going to start making art again?’ And I would love to but I have no idea where to start. E: It’s a long blind process. J: This attention has certainly given me a desire not exactly to start again but just to have the pleasure of making pictures again. E: I hope that you do. J: I hope I do too. Episode 31: David Jones, Shannon Stratton and more!